Premium black net for 14ft round trampoline 430. 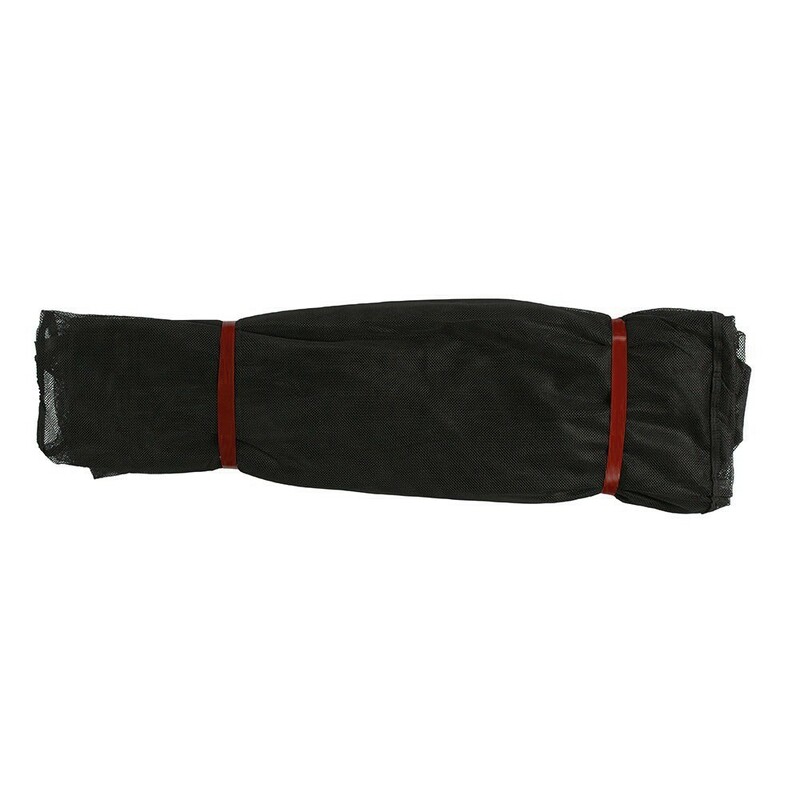 Textile net for your round 430cm/14ft. trampoline. 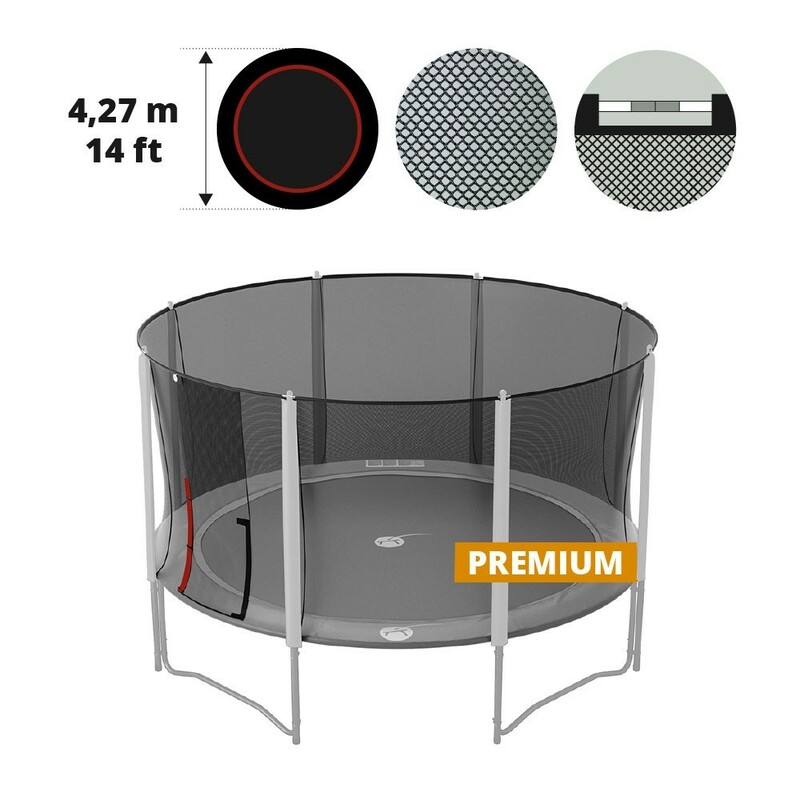 It fits all round trampolines with a 4.27m diameter, where the original net is provided with 8 net posts. 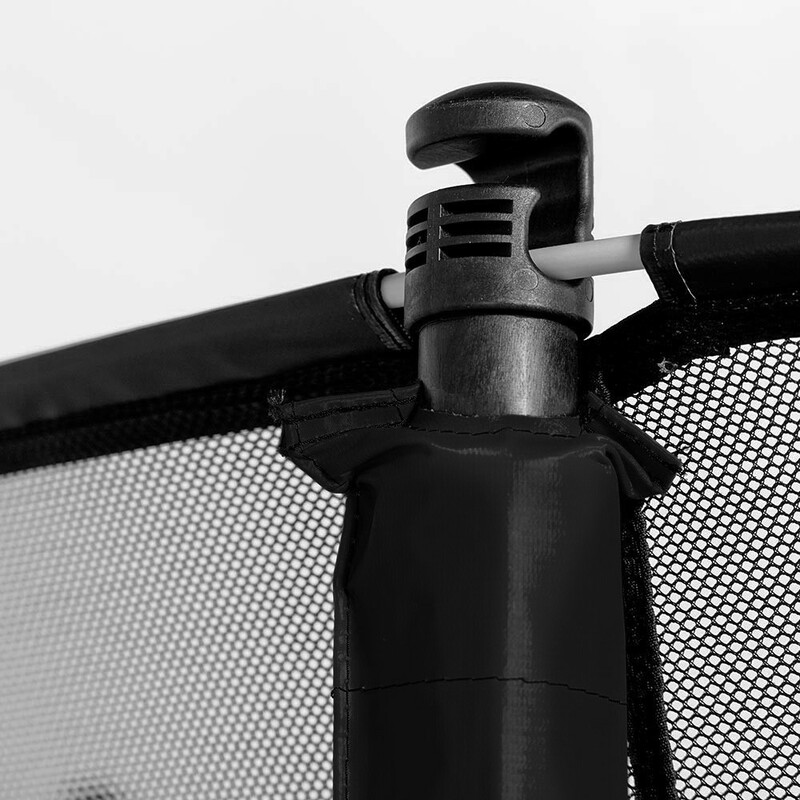 Change just the net of your safety enclosure without having to change the whole structure. Our spare parts allow you to do just that! 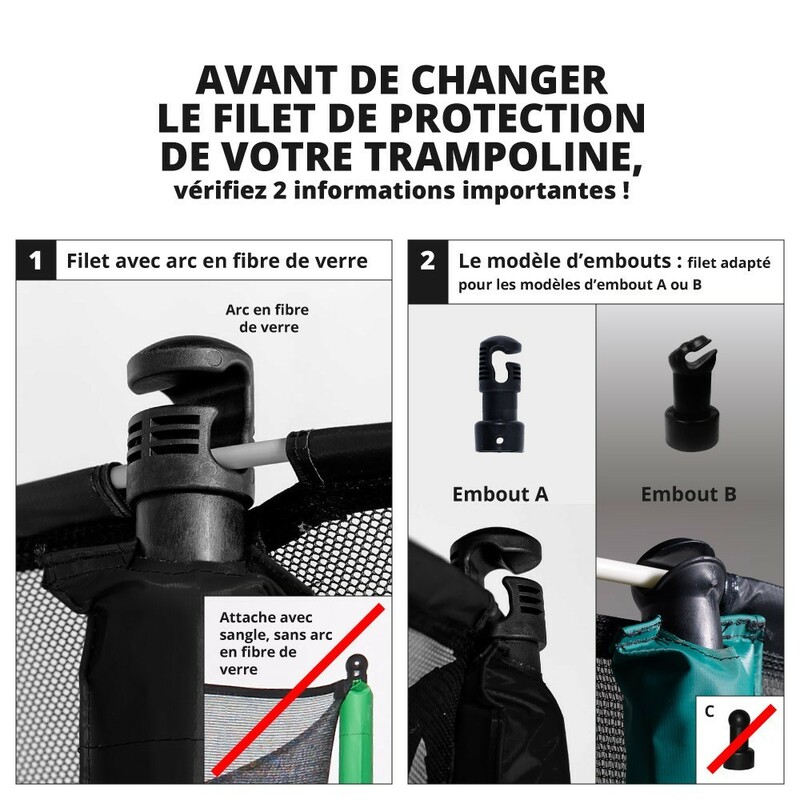 - Suitable for all round trampolines with 4.27 diameter (overall). Your trampoline's original net must be equipped with 8 net posts and maintained by fiberglass rods (not included with this net). - Solid and tightened mesh: the netting is so fine that no one will be able to get their fingers caught. It is made in polyester: a resilient material that will stop falls, very softly! montage un peu compliqué (il faut être grand !!!!) mais de très bonne qualité.